Light rail vehicles are typical applications of electrical high-voltage propulsion systems. Since decades trams are driven by electrical motors, supplied by power fed into the vehicle from the overhead line via the pantograph. Apart from this basic architecture today’s urban transportation vehicles have less in common with the old-style tram you might have in mind. But besides this standard driving functionality there are a number of other operating modes of the electrical multi-voltage network of the tram: Regenerative Braking for example, when the described supply chain is turned around. 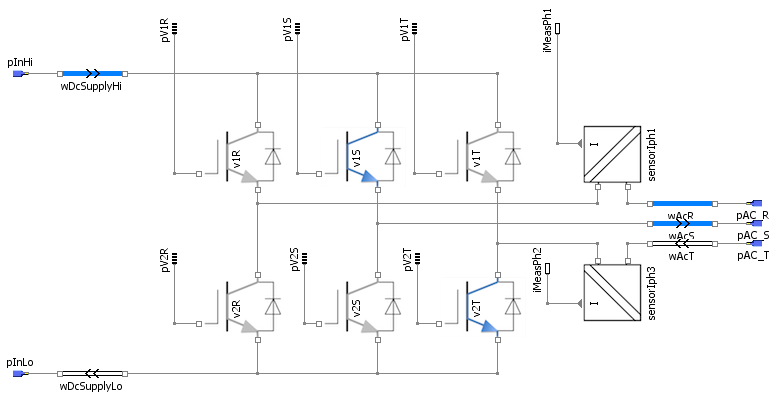 Now the AC motors operate as generators, converting the mechanical power of the moving tram into AC voltage which in turn is converted by specific pulsing patterns of the IGBTs into DC voltage and fed back into the overhead supply net. Directed by the control software’s triggers the tram slows down smoothly, while simultaneously electrical energy is generated. A contribution to economic and environmental-friendly operation. However, sometimes the catenary is not able to receive energy during the braking period. In order to still benefit from the electro-dynamic brake, the regenerated electrical energy can alternatively be consumed by special resistors on the roof of the light rail vehicles. They simply convert it to heat. Last but not least there also very innovative concept to operate the trams with high-voltage batteries, so that the overhead wire between the stations is not required any more. The battery is quickly being recharged inductively during the usual stop at the stations. 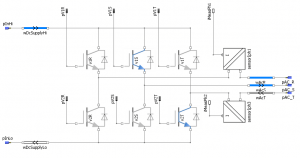 In this variety of electrical driving, braking and charging modes it becomes clear that proper safety analyses and risk mitigation concepts for functional as well as for non-functional safety are important. 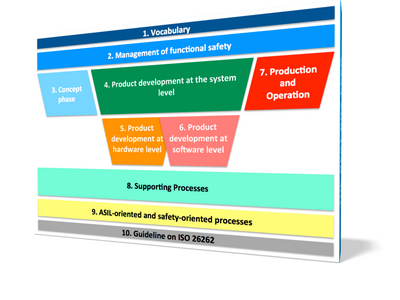 The train-specific norms like EN50126 or EN50128 specify in detail the execution of a safety-case and what is required for assessment. However, facing all the specific customer demands incl. the individual maintenance scenarios this task might become pretty time-consuming. 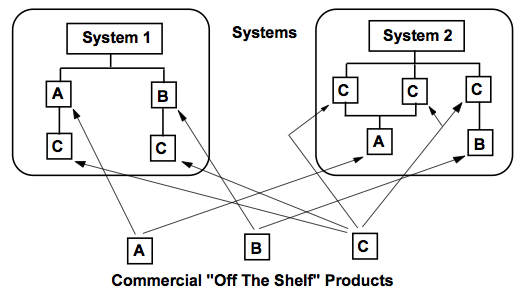 Effort can be saved by splitting the safety-case into a generic part – covering typical pre-defined propulsion architectures – and an application-specific part – focussing on the peculiarities of an individual customer-tailored application-project, each with individual assessment by the ISA (Independent Safety Assessor). 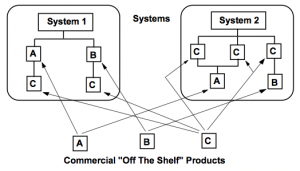 The challenge here is to define a proper boundary between the potential generic solutions and what is considered as project-specific tailoring or adaption, i.e. to find a good balance between reusability and flexibility. This was also one of the questions in a project at Bombardier Transportation (BT). BT has developped a flexible family of low-floor light rail vehicles and their respective propulsion system that can be individually combined and tailored to customer’s needs, the so-called Flexity 2-platform. 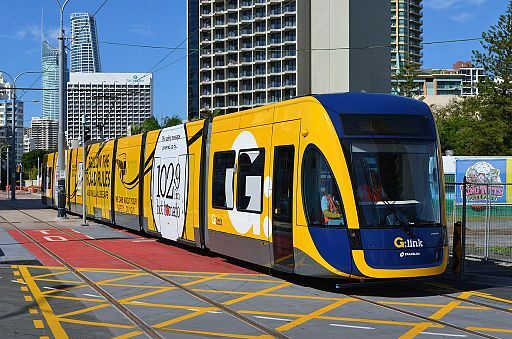 A very recent application of this concept is the fleet of the G:link light rail system for probably one of the most attractive spots in the world: the Gold Coast Rapid Transit system around Surfers Paradise, Australia. See also picture above. 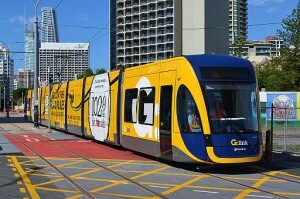 Since July 2014 the 13km route between Griffith University and Bradbeach with its 16 stations is connected by 14 Flexity 2 trams, each 43.5m long with room for more than 300 passengers, running with a speed of up to 70km/h. 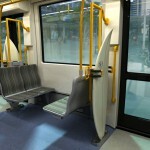 It is not only the first modern light rail system in the “Sunshine State” Queensland with its tropical temperatures and beautiful beaches, but the G:Link is also the first fleet of tram vehicles worldwide with special built-in spaces for surfboards!